German industry groups warned on Sunday, before European Commission President Jean-Claude Juncker meets US President Donald Trump this week, that tariffs the United States has imposed or is threatening to introduce risk harming America itself. "The tariffs under the guise of national security should be abolished," Dieter Kempf, head of Germany's BDI industry association said. Juncker should tell Trump that the United States would harm itself with tariffs on cars and car parts, he told Welt am Sonntag newspaper. The German auto industry employed more than 118,000 people in the United States and 60 percent of what they produced was exported. "Europe should not let itself be blackmailed and should put in a confident appearance in the United States," he added. Altmaier said it was difficult to estimate the impact of any US car tariffs on the German economy, but added: "Tariffs on aluminium and steel had a volume of just over six billion euros. In this case we would be talking about almost ten times that." "You can imagine that if we go down with a cold in the German-American or European-American relationship, many others around us will get pneumonia so it's highly risky and that's why we need to end this conflict as quickly as possible." 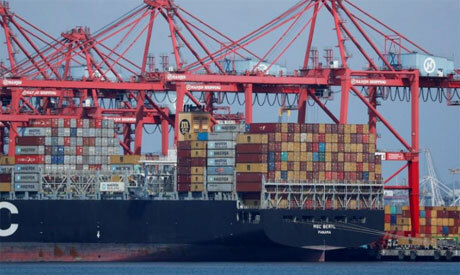 Eric Schweitzer, president of the DIHK Chambers of Commerce, told Welt am Sonntag the German economy had for decades counted on open markets and a reliable global trading system but added: "Every day German companies feel the transatlantic rift getting wider."